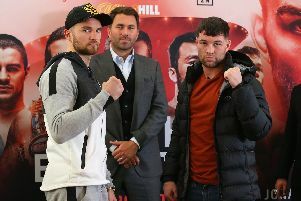 Scott Fitzgerald and Anthony Fowler came face-to-face for the first time on Wednesday ahead of their big fight in Liverpool. Preston’s Commonwealth Games champion will take on his fellow Glasgow 2014 gold medallist on Saturday, March 30. The super-welterweight pair exchanged words before and after the press conference at the Royal Liver Building having gone back and forth on social media in recent weeks. Both Fitzgerald, 11-0, and Fowler, 9-0, will put their unbeaten pro records on the line in what is a crunch clash in the exciting 154lb division. The bout will act as a British title eliminator with the winner set to fight current champion Ted Cheeseman later in the year, the Bermondsey fighter looking to add the European title to his collection when he faces Spaniard Sergio Garcia on February 2. 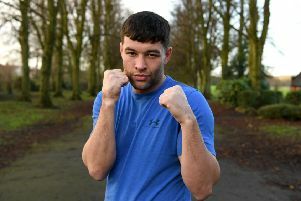 That night at the London Arena will also see Fitzgerald have a low-key warm-up fight to prepare for Fowler, having not fought since breaking his finger during his final-round knockout win over Craig Morris in Birmingham at the start of September.